We have limited seating available for this years HR Achievement Awards Luncheon. If you are interested in attending, please contact Lynnette Cloward. 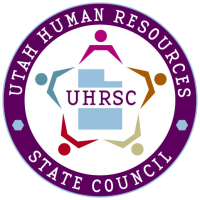 Utah Business and Utah SHRM are pleased to present the 2019 HR Achievement Awards. The HR Achievement Awards recognize the key role human resource professionals play in their organizations, shining a spotlight on those who work to establish best practices for people management and who spearhead innovative HR initiatives to make their organizations great places to work. The HR Achievement Awards honorees will also be featured in the April edition of Utah Business magazine. Take advantage of being in front of this select group of men and women by becoming a sponsor, getting a corporate table(s) or individual tickets. If you need assistance please call Lynnette Cloward at 801-839-1411 or email lcloward@utahbusiness.com. Congratulations once again to the 2019 HR Achievement Honorees! We look forward to celebrating with you April 25, 2019 at The Grand America Hotel! By purchasing a sponsorship, corporate table or ticket to this important, one day event, you'll receive exclusive access to some of the top business men and women in Utah! There will be a one hour, networking reception prior to the start of awards ceremony. This event will sell out and space is limited! Thank you for purchasing a ticket(s) to our 2019 HR Achievement Awards Luncheon! We are pleased to have you join us on Thursday, April 25, 2019 at the Grand America Hotel. The networking reception will start at 11:00 and will be followed by the awards luncheon at noon. If you have any questions, please contact Lynnette Cloward at - lcloward@utahbusiness.com.